Great upload Gambit_man! Thanks very much!!! And thanks to an original uploader from Immortal forum. 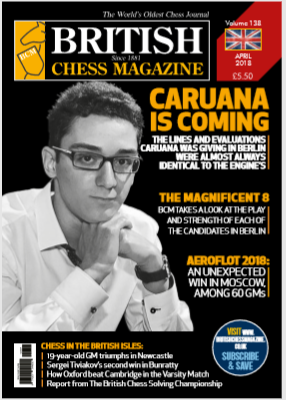 I have a question, do you have a March 2018 or February 2018 issue of British Chess Magazine? I love this magazine,.. and would like to say that I very appreciate your hard work for this forum and your inmense generosity .